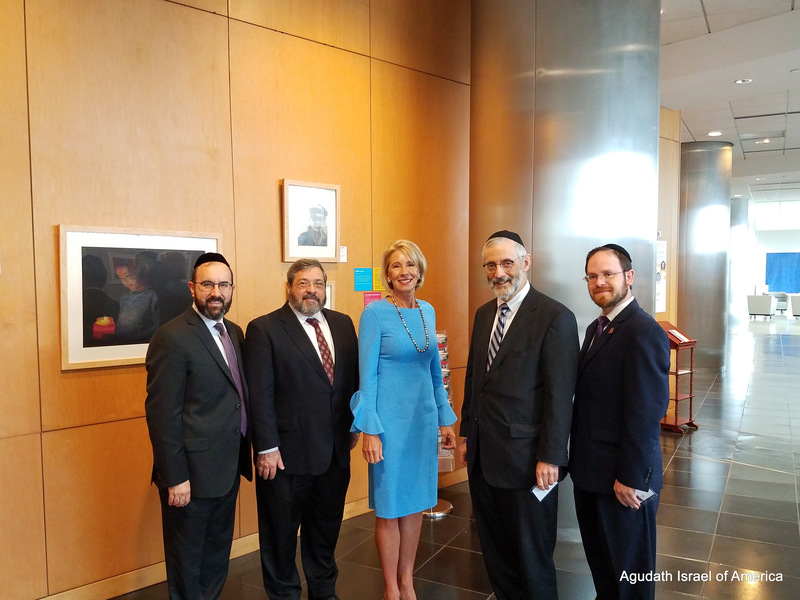 (Left to Right): Rabbi Ariel Sadwin, Director, Agudath Israel’s Mid-Atlantic Region, Rabbi Abba Cohen, Agudath Israel’s Vice President for Government Affairs, Betsy DeVos, U.S. Secretary of Education, Rabbi Chaim Dovid Zwiebel, Agudath Israel’s Executive Vice President, and Rabbi A.D. Motzen, Agudath Israel’s National Director for State Relations, not shown: Rabbi Ami Bazov, Agudath Israel’s coordinator of education affairs. We wish you and your family a Good Yom Tov in advance of the Sukkos holiday. Thank you to Rabbi Abba Cohen for working closely with TSA and CBP to once again ensure the distribution of timely guidance about travel with the arba minim. See below for a printable copy of the guidance.